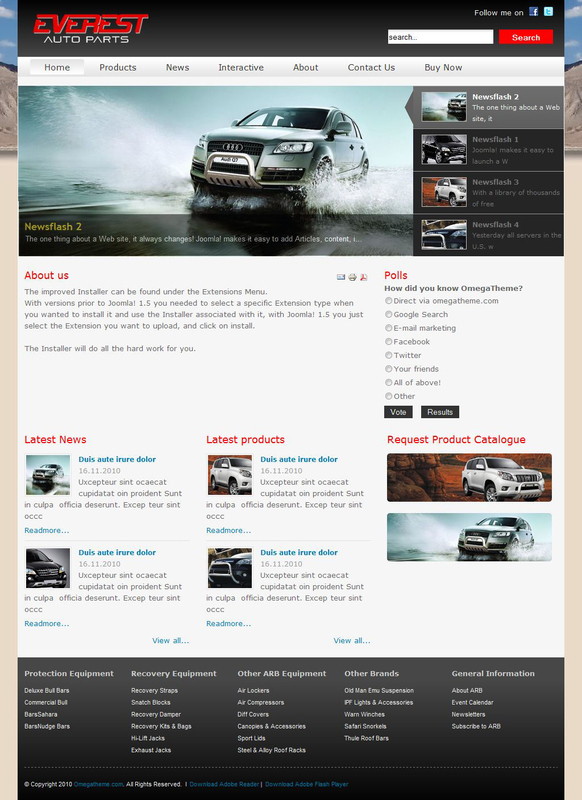 Professional design template OT Everest, made by designers OmegaTheme, suitable for a site on automotive topics. The template is fully adapted to the popular social resources, has a slider that performs rotation photographs. Job template based on the platform Solid Framework. It has 15 module positions and optimized code. Layout is designed to work with the version of Joomla 1.5 and has compatibility with all popular browsers.